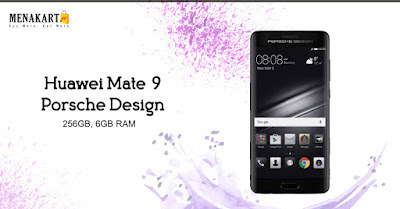 Online Shopping in Dubai: Buy Huawei Mate 9, Up to 24% off only at Menakart. Buy Huawei Mate 9, Up to 24% off only at Menakart. Own this luxurious, high-performing Huawei Mate 9 Porsche Design Dual Sim. Featuring the Huawei top-of-the-line technology integrated with the unique and ergonomic Porsche Design, this groundbreaking phone is the lovechild of two trailblazing brands. Beautiful and truly one of a kind, inspired by these two brands’ passion for performance. This high-performing Huawei Mate 9 Porsche Design is the perfect match for your fast, high-performing lifestyle.